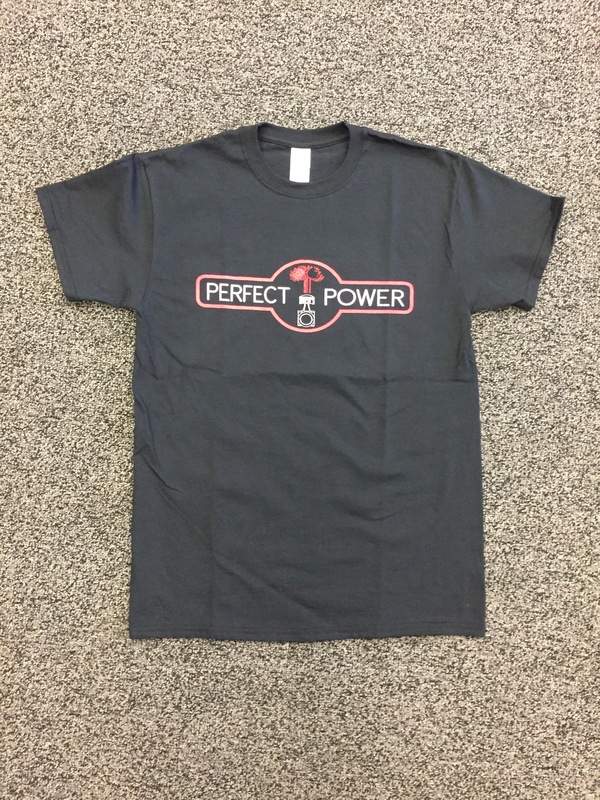 Perfect Power t-shirt, double sided. Logo front and combustion close-up on back. $20. Sizes from S-2XL available.